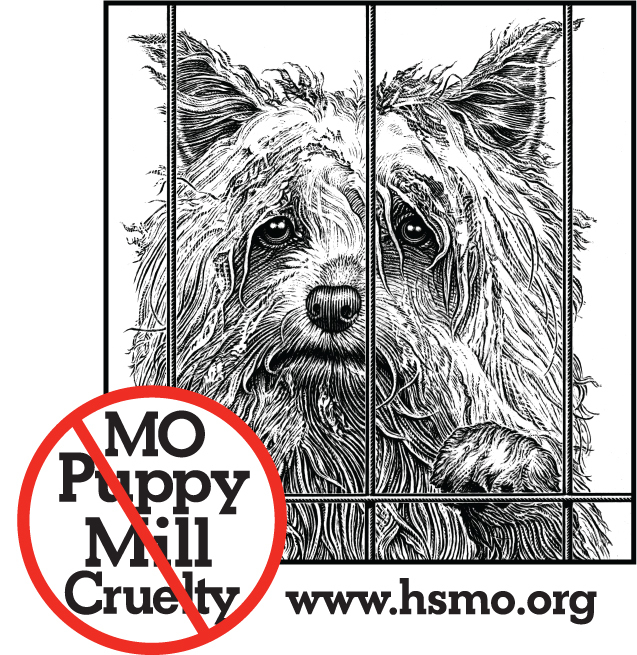 According to the Humane Society of Missouri, the first bad dog breeder has been shut down thanks to Missouri's new cruelty prevention law. Seventy-three dogs were rescued by the Humane Society of Missouri Animal Cruelty Task Force from a dog breeding facility in Monett (Lawrence County) Missouri. Dogs included Cocker Spaniels, Labrador Retrievers, American Eskimos, Poodles, Beagles, Papillons and Brussels Griffons. These dogs were living in cramped, dirty, unsafe cages, often outside with no access to shade or protection from the sweltering heat due to the neglect of this dog breeder. 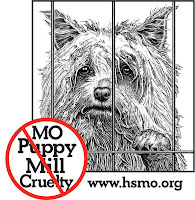 Under the new Canine Cruelty Prevention Act and with the join efforts of the Office of the Missouri Attorney General, the Missouri Department of Agriculture and HSMO, this commercial dog breeder is no longer in business. According to Missouri Attorney General Chris Koster, this rescue is just the beginning of efforts leading to a significant improvement of Missouri's dog breeding reputation. failed to provide housing that protected the animals from injury. In addition, the owner routinely used a gunshot as a means of euthanasia, also in violation of the law. In an agreement approved July 14 and enforceable under the circuit court, the owner will surrender all animals to the Humane Society of Missouri, surrender her Missouri Department of Agriculture commercial breeder license and will not operate a dog breeding facility for at least the next 6 years. The rescued animals were taken to the Humane Society of Missouri's Headquarters for individual veterinary exams and treatment. As soon as they are healthy, as many of them as possible will be made available for adoption.